The Volkswagen Car-Net system enhances your Arlington commute thanks to a range of connectivity systems. To start, the Volkswagen App-Connect feature provides control over select apps, and you’ll also enjoy easy-to-use navigation features. The VW Car-Net Security Services features improve your overall safety and security. 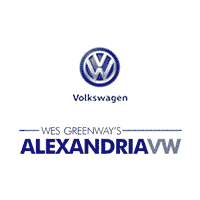 Learn about more VW tech features today at Alexandria Volkswagen. Navigation – Switch between 2D or 3D views as you receive up-to-date directions. Information – Access fuel prices, traffic info, weather, or the latest scores. In addition, Remote Vehicle Access lets you honk your horn or send directions to the navigation system from the Car-Net app. You can even unlock the vehicle’s doors from your smartphone. If you’re in the market for a new Volkswagen with high tech features, turn to Alexandria Volkswagen, serving Annandale and beyond. We’re proud to offer a range of Volkswagen models as well as information about the like the Volkswagen Golf and Golf GTI. Our highly trained associates can help you activate your Bluetooth connection or go over the tech systems of the Volkswagen Tiguan. We can even help you find the best restaurants in Old Town Alexandria! 0 comment(s) so far on What is Volkswagen Car-Net?